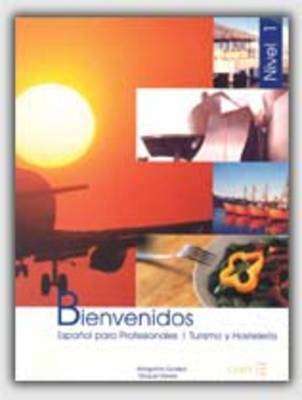 "Bienvenidos" is a unique business course in so far as it concentrates specifically on the fields of hotel management/tourism and restauration. For beginners and false beginners of Spanish, this thorough method teaches not only the important vocabulary and business situations necessary for advancement in these areas but it also aims to develop a strength in general Spanish. Covering between 120-150 class hours per level, the modular format of the student's book allows for a progression to suit all levels and abilities with much attention paid to grammatical aspects of the language in order to further progress students' language skills in a business context.